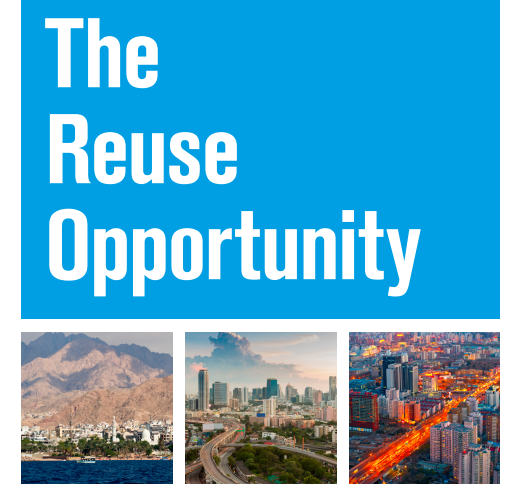 A new report, The Reuse Opportunity: Cities seizing the reuse opportunity in circular economy, published by the International Water Association and OFID (the OPEC Fund for International Development), is calling for decisive, urgent and large-scale action is needed to dramatically increase wastewater treatment, reuse and recycling. The report says that cities, as drivers of the global economy, must lead this resource revolution to enable a transition to a circular economy. Wastewater is a global problem – around 80% of all wastewater is discharged untreated into rivers, lakes and oceans. It also contributes to greenhouse gas emissions, including nitrous oxide and methane – the emissions are three times larger than those produced by conventional wastewater treatment activities. Recovering water, energy, nutrients and other precious materials embedded in wastewater is an opportunity for cities to transition to the circular economy and contribute to improved water security. OFID is an intergovernmental development finance institution established in 1976 by member states of the Organization of the Petroleum Exporting Countries (OPEC) as a collective channel of aid to developing countries. Realising the vital role clean water plays in fighting poverty, OFID is supporting operations that range from large-scale sanitation and water supply systems to village pumps and school latrines, to schemes rationalising water use in arid regions, and rehabilitating and expanding irrigation systems.